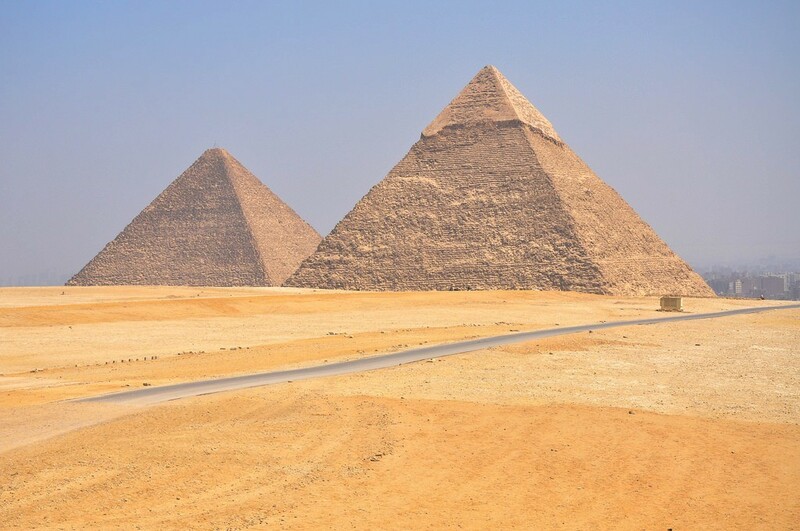 The bricks used to build the Great Pyramid at Giza weigh in at an average of more than 5,000 pounds each, which long left experts stumped as to how the Ancient Egyptians managed to move the blocks during construction.... 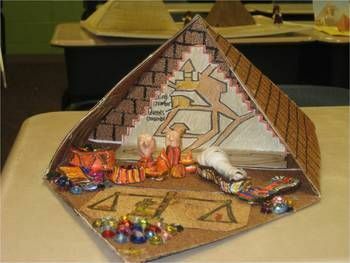 The pyramids were built to protect the body of the deceased pharaoh. These massive tombs were constructed to withstand the elements of time and were intended to last forever. We know who built the Great Pyramid: the pharaoh Khufu, who ruled Egypt about 2547-2524 B.C. And we know who supervised its construction: Khufu's brother, Hemienu. The pharaoh's right-hand man, Hemienu was "overseer of all construction projects of the king" and his tomb is one of the largest in a cemetery adjacent to the pyramid. 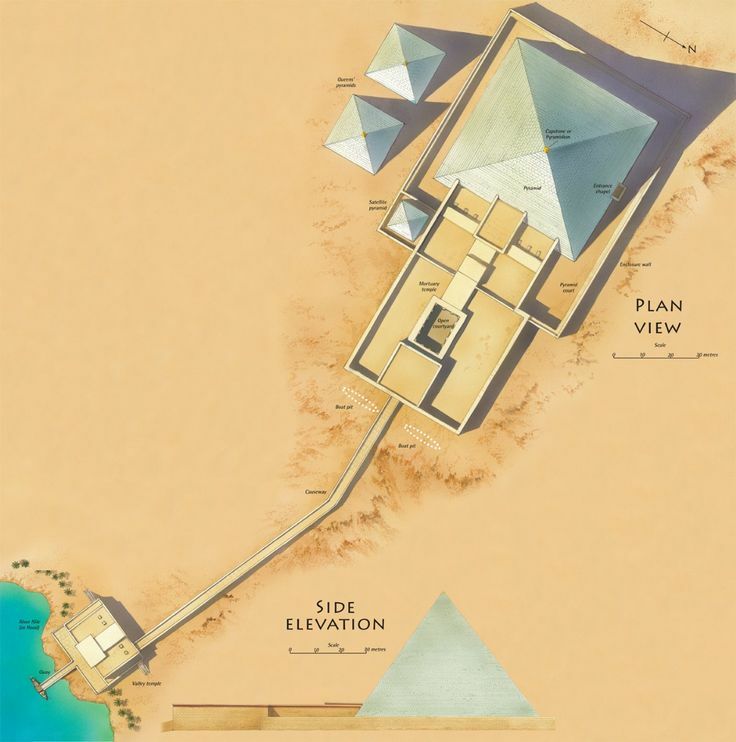 In this section you will find information on the Pyramids and Temples of Egypt, which includes computer-generated reconstructions of what the pyramids and temples might have looked like when they were first built.